Nothing is as it seems as the second exhilarating season of the witty, addictive series begins! 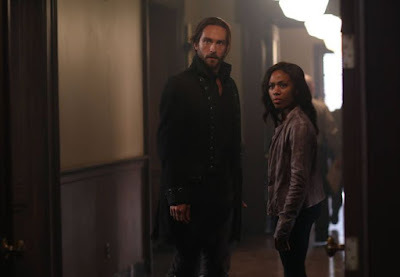 After Ichabod Crane (Tom Mison) risks his life to rescue Police Lt. Abbie Mills (Nicole Beharie) from Purgatory, the two face even greater danger as sinister forces in Sleepy Hollow gain momentum. With Katrina held captive by the Headless Horseman, and Frank Irving mysteriously back from the dead, Ichabod and Abbie must rely on instinct to know who to trust in their quest to permanently vanquish Moloch – and stop the apocalypse. Help arrives from a completely unexpected source, and the season ends with a shocking climax in this well-crafted show with plot twists, hair-raising chills and a truly unique take on American history! Ichabod Crane (Tom Milson) was an 18th century soldier who managed to kill the headless horseman. Unfortunately his life was taken at the same time. In the present day the Horseman is summoned and thanks to a spell cast by his wife Katrina, Ichabod rises from the grave. Ichabod is not a zombie; he is very much alive and is very much out of place. We later learn that the Horseman is one of the four horsemen of the apocalypse, death. Lt. Abbie Mills (Nicole Beharie) becomes Crane’s partner. Together they are supposed to be the witnesses who will play a pivotal role in the future of the world. Abbie’s sister Jenny, with whom she has a very complicated past, finds herself in the midst of the drama as well. As season two begins, Abbie finds herself in purgatory and Crane is buried underground. With demonic elements at work its tough to determine, what'drama as well. from the grave. Ichs tough to determine what is real. Season one focused on the horseman known as death, season two is all about a second horseman, war. To avoid spoilers I am keeping my recap of season one and season two intentionally brief. "This is War” – Benjamin Franklin’s sketchbook is the key to a literal key that open the gates to purgatory. “The Kindred” - Benjamin Franklin created a creature called a kindred made from the parts of his strongest soldiers. Abbie seeks the head of the horseman while Ichabod tries to free Katrina who is not ready to escape. "Root of All Evil” – Ichabod and Abbie learn they are not allowed to see Irving in the asylum. Jennie and Abbie have old family issues to work through and a cursed coin is found to be at work. “Go Where I Send Thee” – A young child is abducted by the Pied Piper. 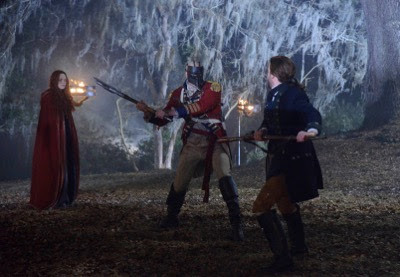 Abbie and Ichabod are assisted by Nick Hawley who wants the Piper’s flute. Although it was the agreement, Abby refuses to allow him to have such power. "The Weeping Lady” – Ichabod’s friend Caroline is a murder victim and he was the last person to see her alive. The Weeping Lady is a local legend about the ghost of a woman who had drowned, and she turns out to be someone from Ichabod’s past. It will take Abbie, Ichabod and Katrina to expel the Weeping Lady. “And the Abyss Gazes Back” - Corbin’s son Joe has returned having been discharged from military service. He resents Abbie’s relationship with his father and does not wish to be welcomed home. A series of gruesome murders surrounds Joe and Abbie and Ichabod investigate. "Deliverance” – Abbie is casting her vote, and Ichabod is put off my current processes and regulations. They learn that Katrina is in the hospital with a mysterious illness. They soon learn that her illness is a part of Moloch’s plan. “Heartless” – Moloch has summoned a succubus, and the body count begins. "Mama” – Tarrytown Psychiatric Institute has had a rash of suicides and Abbie and Jenny investigate even though it’s painful given their past. The spirit they discover isn’t as shocking as her identity. “Magnum Opus” – Grace Dixon’s journal may hold a clue to defeating Moloch. They are led to the Sword of Methuselah may hold the key to preventing the apocalypse and Moloch sends Abraham to stop them. “The Akeda” – Abraham seeks to cast a binding ritual on Katrina. Ichabod has the sword in hand which can defeat the horseman but learns that it comes at a great cost. The fight against evil gets bloody and some will be hurt and one will lose their life. “Paradise Lost” – Abbie and Ichabod encounter Orion the angel who spent two centuries in purgatory. Abraham may have finally met his match. “Pittura Infamante” – With their marriage on the rocks, Ichabod and Katrina are faced with the murder of an art restorer. Katrina remembers the 1770 murders with the same details. “Kali Yuga” – Nick Hawley needs help with the treasure hunter who raised him. The woman has been turned into a monster and attempts to turn Nick who only wants to help her. “Spellcaster” – A powerful warlock (Johnathan Schaech) robs an auction house in order to steal a spell book full of dark magic. Katrina is familiar with the warlock and warns that wherever he goes terror and death are sure to follow. “What Lies Beneath” – Ichabod and Abbie face demonic creatures that guard a secret crypt, and then encounter Thomas Jefferson in their quest to fight evil. “Awakening” – A powerful coven of witches threatens the mortals. "Tempus Fugit” – Sleepy Hollow and its residents are forever changed. Season finale. Having the option of playing the episodes in season mode is a big plus. For someone who often falls asleep watching television, it is very handy. Many shows allow you to play all but you can’t start and stop continuous play like you can with season mode. 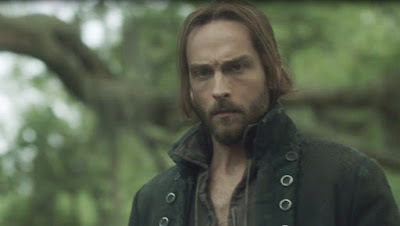 I am also a big fan (in this show) of Tom Mison, who plays Ichabod Crane. I love the movie Sleepy Hollow and thought of Johnny Depp as Crane. Considering how different Mison plays the character I’m surprised how much I enjoy it. Mison’s Crane is intelligent, witty, charming and adorable when he calls Abbie Leftenant. As much as I like Johnny Depp’s Crane I can’t imagine him in modern times. Watching Crane adapt and learn about Starbucks and yoga are some of the best parts of the show. I also like that there are many creatures other than the Horseman. That’s a fact that many people won’t like. The creature of the week doesn’t work for everyone but I like it. The mythology is complicated and can get a bit convoluted but if you stay on board, I think it is worth the time. I do strongly recommend starting with season one. This isn’t the show you jump into at any point. Sleepy Hollow: The Complete Second Season is presented on Blu-ray courtesy with an AVC encoded 1080p transfer in a 1.78:1 ratio. The series is shot digitally and looks very good overall. A significant portion of the show is in the dark, underground or at night. The small amount of noise is not bothersome and the fine detail and black levels do not disappoint. CGI effects are very good and appear authentic, regardless of how extraordinary the action. 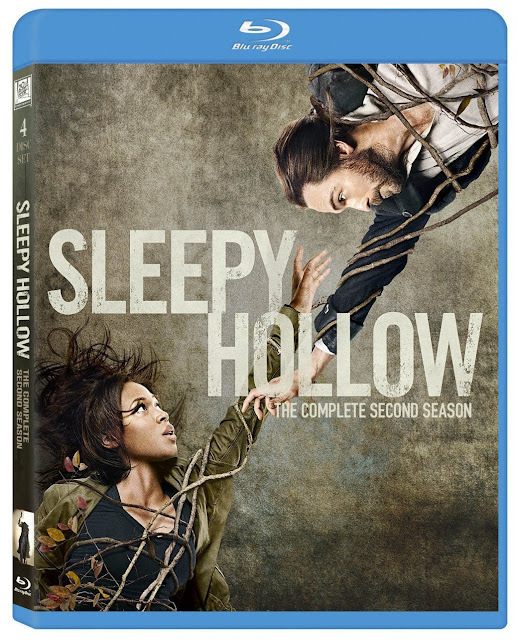 Sleepy Hollow: The Complete Second Season features a DTS-HD Master Audio 5.1 track. The supernatural elements offer many opportunities to pick up peripheral, environmental and monster-made sounds. Dialogue is clean and consistent without having to keep your finger on the volume button when a monster comes into the picture. Range is excellent and the audio supports the video presentation well. 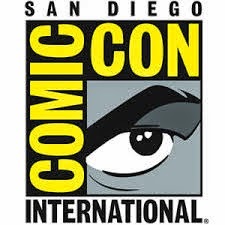 A Salute to Sleepyheads (14:04) - This featurette takes a look at the last two Comic-Cons and fan appreciation for the show. Mysteries and Mythology: The Secrets of Season Two (24:32) - Make sure you’re up to date when you watch this extras because it is ripe with spoilers. They discuss the story in detail and show behind the scenes footage and interviews. Monsters and Mayhem: The Creatures of Season Two (13:23) - A look at the creatures and supernatural elements of the show. Hollow History (10:16) - A look at the historical elements and the way the show interprets actual events and people. Sleepy Hollow remains fresh and entertainment through season two and into season three. Stars Nicole Beharie and Tom Mison make the show. I don’t really think that the world is in danger offending but it’s still fun to watch them try to prevent it. I recommend purchasing the Blu-ray as the show is one that would hold up to repeated viewings. The Blu-ray looks and sounds very good and contains a nice list of extras with the gag reel and cast commentaries I was hoping for.